An interesting book but not very easy to follow since it is written in the form of "stream of consiousness" or "interior monologue", meaning that the narrator depicts the multitudinous thoughts and feelings which pass through the mind of the characters- but Juliet Stevenson's reading renders the task much easier and even more enjoyable. She changes her voice in a way which makes it easy for the reader to know who is talking (sometimes it can be very hard to guess!). The difficulty of Virginia Woolf's writing, however, makes it necessary to stop and reread some passages. The book tells the story of Mrs Ramsay, a submissive wife and mother of eight children, who believes men to be intellectually superior to women "this admirable fabric of masculine intelligence", and who is constantly sympathizing with her tyranical husband and pitying men, especially the unmarried among them. She tries to marry Lily Briscoe, a young promising painter to Mr Bankes. but the former turns out to be a truly uncoventional woman who refuses to marry and who questions and internally rebells against Mrs Ramsay's utterly conventional and submissive attitude towards men. 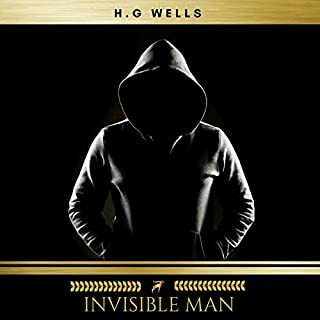 I would, recommend this audiobook to others, and I have. I believe that I read To The Lighthouse many years ago, but its impact was greater hearing it read. The narrative is weighted down by the effect of the parents, the power characters, on their children. This sense of claustraphobia infiltrates the book. Such beautiful writing, beautifully read. The story slightly peters out towards the end, but still really enjoyed it. Virginia Woolf has true insight. Is there a sentiment Ms. Woolf couldn't describe? Exactly as wonderful as I remembered. Or maybe even more now when I'm better equipped to appreciate its slow, uneven progress. am I surprised? absolutely not. another combination of Woolf and Stevenson in this most fluid of flow of consciousness and what you get is naturally, pure magic. I loved this book from the very beginning. Though hard to follow in places, Virginia Woolf has you from the first page. To The Lighthouse is a funny, sad, brilliant book that I would recommend to anyone who wants to have a book they will love forever. Loved it. 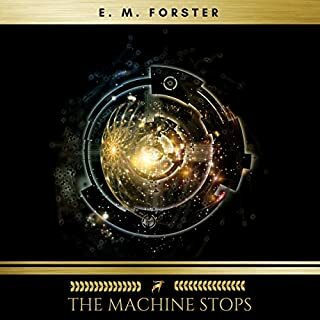 This is a tour de force of beautiful writing sensitively converted into audio. Juliet' s reading makes the narrative easy to follow and illuminates key passages. Well worth listening to several times.Thank you so much. I was sorry to finish it. 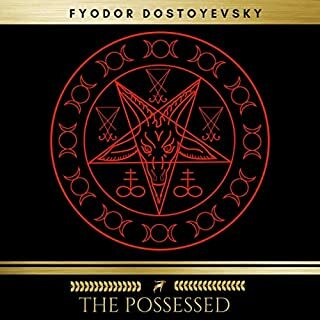 The narration was exquisite, it gave life and added even more depth to a masterpiece of English literature. I found Stevenson's voice very relaxing to listen to and never monotonous. What did you like most about To the Lighthouse? Juliet Stevenson's reading gave me more insight into the book than I ever got from reading it myself. Wonderfully expressive, she catches the subtleties of the writing perfectly. A Stark Tower on a Bare Rock, or a Hanging Garden? 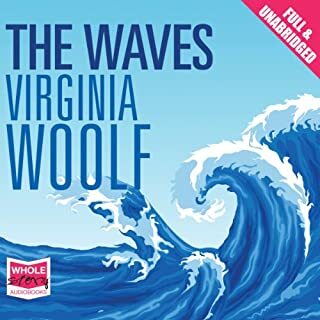 On the surface not much happens in Virginia Woolf's semi-autobiographical modernist masterpiece To the Lighthouse (1929). 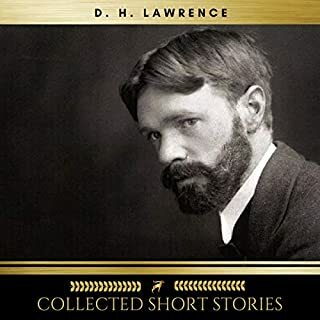 In Part I: The Window, Mr. and Mrs. Ramsay (based on Woolf's own parents), their eight children, and several guests are vacationing at the Ramsays' summer house on the Isle of Skye in the early 20th century. Mrs. Ramsay, a meddling and kind fifty-year-old Greek-goddess, goes to town on errands, reads a fairy tale to her youngest child James, knits a stocking, presides over a dinner, communes without words with her husband, and holds the different people in the house together with the gravity of her charisma. Mr. Ramsay, an eccentric philosopher-academic, carries on with egotism, insecurity, and emotional tyranny. James' desire to visit the local lighthouse is thwarted by his father and the weather. Mr. Charles Tansley, an uptight disciple of Mr. Ramsay, asserts himself charmlessly. The somnolent and cat-eyed poet Mr. Carmichael reclines on the lawn. And independent, Chinese-eyed and pucker-faced Lily Briscoe works on a painting of Mrs. Ramsay and James and critically contemplates the family. In Part II: Time Passes, the forces of entropy besiege the house as it stands empty of people for ten years. 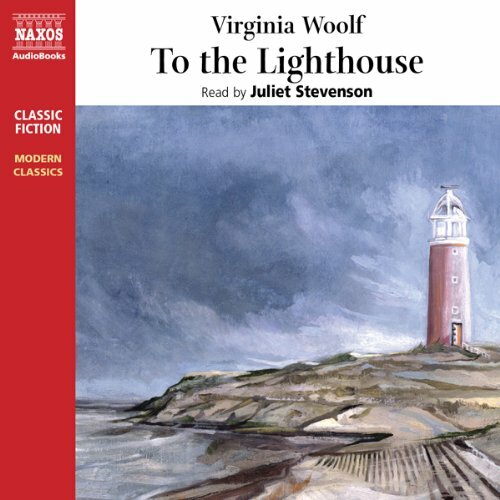 And in Part III: The Lighthouse, Mr. Ramsay coerces his two youngest children--now moody teenagers—to accompany him to the lighthouse while Lily Briscoe--who partly represents Woolf herself as a writer--comes to terms with her feelings for Mrs. Ramsay as she tries to capture her vision in the painting she'd attempted ten years earlier. "From her hand, ice cold, held deep in the sea, there spurted up a fountain of joy at the change, at the escape, at the adventure (that she should be alive, that she should be there). And the drops falling from this sudden and unthinking fountain of joy fell here and there on the dark, the slumbrous shapes in her mind; shapes of a world not realised but turning in their darkness, catching here and there, a spark of light; Greece, Rome, Constantinople." The dense novel explores the miraculous fragility and meaning (or lack thereof) of life; the varied and complex nature of love; the losses and gains involved in making families or living alone; the fraught relationships between children and parents; the confining roles of men and women; the surprising vividness and poignancy of memory; the complex nature of perception; the doomed but necessary attempt to understand other people; and the doomed but noble attempt through art to capture truth and to avoid entropy. Juliet Stevenson was born to read Virginia Woolf! 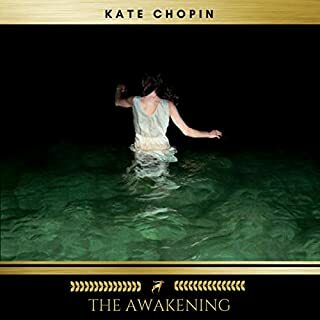 Her voice is lovely to listen to and full of understanding, irony, and sympathy, a perfect accompaniment to the text. With skillful subtlety, she modifies her voice for the thoughts of men and women and children and adults (and for the local Scottish workers who help the Ramsays). She carried me off To the Lighthouse. 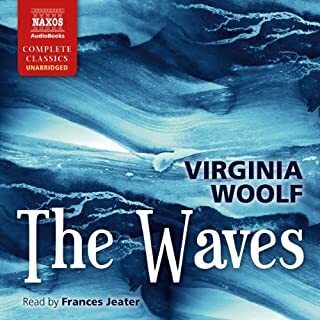 The only thing, perhaps, that is lost in the audiobook is Woolf's use of parentheses and brackets and semi-colons, which visually shape the reading of the text. 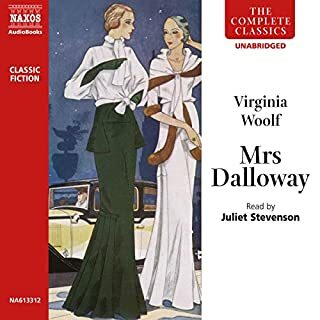 To the Lighthouse, like Mrs. Dalloway and Orlando, should be read by anyone interested in gender, art, love, life, modernism, beautiful prose, and early 20th century British culture. 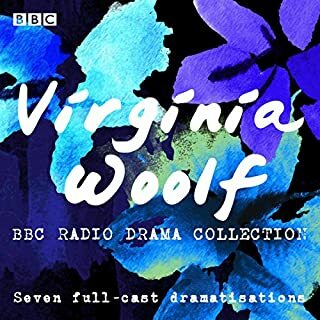 Would you try another book from Virginia Woolf and/or Juliet Stevenson? I seriously can't recommend Juliet Stevenson enough. This book was a difficult read, and I'm very sure if I had read it to myself I wouldn't have understood it nearly so well as having it read to me by JS. You won't regret the choice. Juliet Stevenson's reading of this rich novel is perfection. 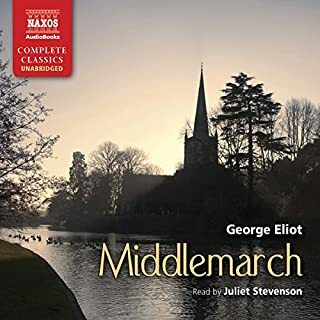 Her "cello-mellow voice" (a phrase borrowed from another stream-of-consciosness novel, Patrick White's Eye of the Storm), creates a range of voices which enhance understanding and draws the listener in "truly, madly, deeply" (to borrow from my favorite Juiet Stevenson movie). 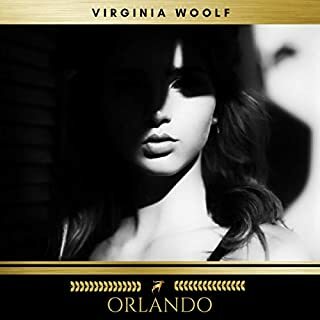 The richness lies in Woolf's stimulating observations of the world through the interior dialogue of several individuals. She captures the continuum of conflicts within individual minds, the conflicts of enlightenment and romanticism world views, the conflicts between men and women, conflicts between parents and children, conflicts of artists of words and oils with artists of daily practical life, conflicts of reason and emotion, and, of course, conflicts of British classes. The events are simple: a family and their guests plan and cancel a trip to the lighthouse in the first half. A death of a major character takes place "off stage" and the changed family returns and completes the trip. An artist struggles in both halves to capture the fleeting life before her. "One wants 50 pairs of eyes," she thinks as she grasps at the rapid changes. 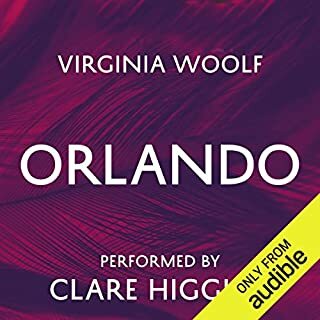 For those who love words, ideas and art, here is an audio book that can be enjoyed numerous times for, as one character comments on her surroundings: "One could let whatever one thought expand here like a leaf in water..."
The prose is lyrical, almost surreal, and places you directly in whatever character Woolf is voicing. I felt as though I were there, experiencing everything along with the characters. There is a clarity and immediacy to Woolf's writing, and I found it completely absorbing. Not a lot happens in this book; it is a portrait of a family, the individuals and their relationships. If you're looking for an exciting plot and action, this is not for you. We get to know these characters so intimately, and yet there is so much that we don't know about them and so much they don't know about each other. Their attempts to reach each other, with occasional success, are very moving. The book is like a very subtle but major earthquake, after which the reader looks at other people with new eyes and with more compassion. Juliet Stevenson is just perfect. Not a wrong note in the book. She has a beautiful voice that is pure pleasure to listen to. 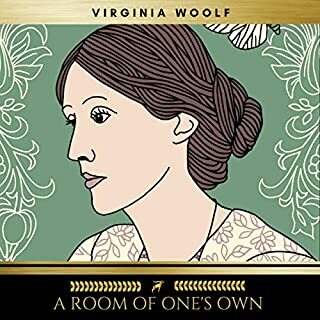 There is little plot to this story but Woolf's detailed description of the thoughts of the characters is amazing.and insightful. To the Lighthouse is a brilliant but difficult book. It is often told in a "stream of consciousness" style. There is no narrator and little plot. Juliet Stevenson's energetic performance makes the novel is much easier to understand. Juliet Stevenson does a wonderful job reading this story. 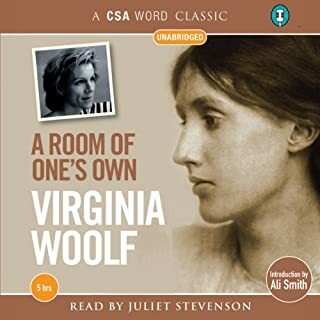 She was great with Mrs. Dalloway and A Room Of One's Own as well. I would search her out specifically. Atmospheric -- superlative reading by J.S. This book is a pleasant stream of consciousness novel with little dialog or story. 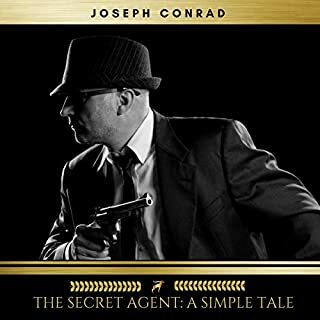 The characters are explored through their inner dialog and their perceptions of the environment, the other characters and, most importantly, themselves. There is a bit of (justifiable) feminist angst in the writing which I found a distraction weakening the work and distracting from the primary focus. 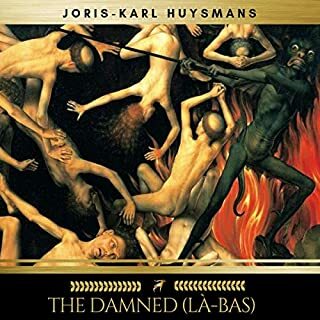 The narration was excellent, using delicate pacing and tone to express complex internal states. The narration switches between characters which was a bit difficult to follow at points. I was surprised to see an attached PDF file. This has the CD liner notes, including a table of contents and a nice historical note by Roy McMillan. Although I liked To the Lighthouse, I liked Proust and Joyce quite a bit better. Where does To the Lighthouse rank among all the audiobooks you’ve listened to so far? 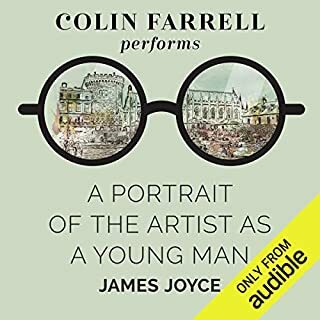 The audio book is 6 hours of pure shimmering, insightful, delightful, mournful, intellectually stimulating, emotionally resonate literary perfection. In this slender volume, Woolf does what it took Thomas Mann over 500 pages of Magic Mountain and DH Lawrence two books (The Rainbow and Women in Love) to do - write an insightful meditation on the subjective nature of life, the transcendent power of art, the subtle, complex interrelations of personalities, and the existential change in perspective that occurred after WWI. 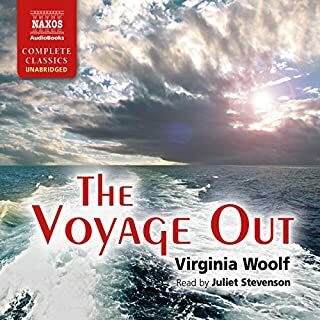 Woolf is at her writing peak with prose that is perfected crafted, detailed but never forced and her words come alive with Juliet Stephenson crisp, English accent. She makes it feel like the characters are whispering to you, an effect very much in line with Wolf’s intent. I've read the book twice, and listening this third time was a joy. This is one of the great books of modern literature.